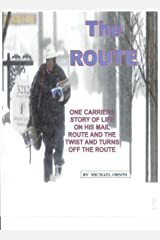 I was a 32 year career employee of the United States Postal Service. 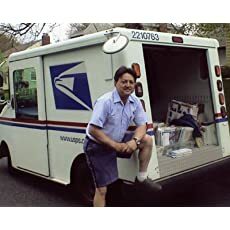 I was a mailman. Being a self-confessed perfectionist I was constantly at odds with management. Not keeping my emotions to myself I let management know exactly what I thought. Well, almost what I thought since I did have to protect my job. After 28 years of this I finally realized that I was spinning my wheels. Instead of getting stressed out I started to write THE ROUTE to vent my emotions. This might account why I still have a full head of hair with only some graying. I finally retired from the service in May of 2010. I still play ice hockey as a goalie. 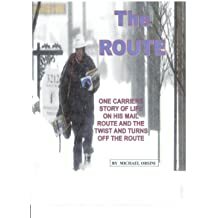 I feel a puck to the head every once in awhile jogs the memory and gives me more ideas about THE ROUTE or maybe another book or adventure. My email is at the end of the book. Please contact me after you read it. I would like to know what you thought and for you to share information about yourself. Not only should the reader know about the writer but the writer should know about the reader. Happy reading.